Come join us for an evening of fellowship around the Word focused specifically on married couples! A full dinner will be served and dress is semi-formal. We hope to see you there! NOTE: If you are in need of overnight accommodations, rooms are available at the Marriott Courtyard in Hickory for a special rate. 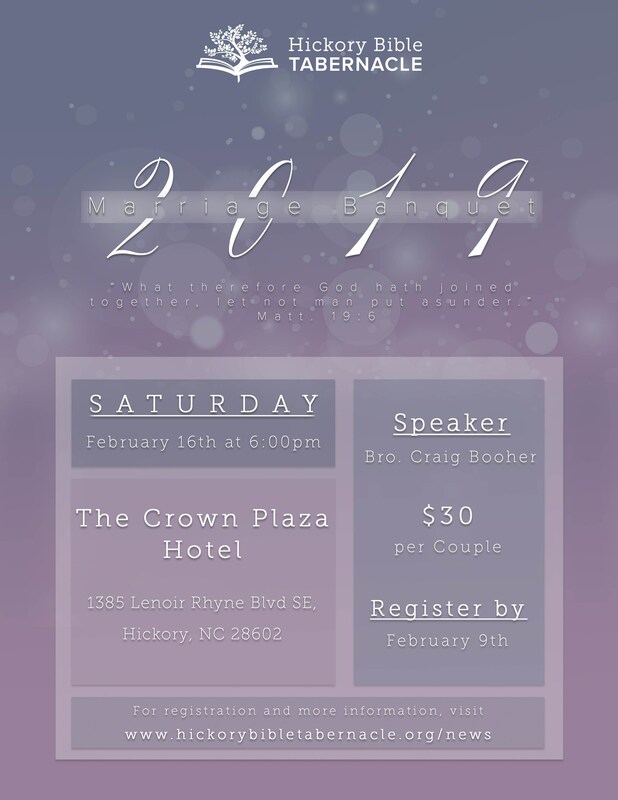 To reserve a room, call the Courtyard at (828) 267-2100 and mention "HBT Banquet".